It was already known that in Q2 2013, AMD would launch new HD 7000 series SKUs in a bid to refresh their current GPU lineup since their HD 8000 series GPUs are reportedly arriving in Q4 2013. PHK at Expreview has leaked some details on the upcoming Radeon HD 7990 and Radeon HD 7790 according to which both cards would be arriving a bit earlier than expected in late March. The Radeon HD 7990 codenamed “Malta” has been in talks since the past month and is said to pack dual Tahiti XT2 cores with the ability to boost beyond the 1 GHz barrier. Notably, the ASUS ARES II does offer the same except the reference Malta Radeon HD 7990 GPU is said to outperform it. Memory configuration would most likely remain the same as current Dual GPU HD 7990 offerings, 6 GB GDDR5 memory along a 384-bit x 2 interface. The reference Radeon HD 7990 from AMD codenamed “Malta” would be available to a board partners who can further offer custom variants of the GPU with faster clock speeds, custom cooling designs and more. The card was expected to launch during late Q2 2013 but now reports from the source points at a late March launch, most probably before or between NVIDIA’s GTC 2013 which starts from 19th March. Review samples are to be shipped first followed by retail availability on a later date. 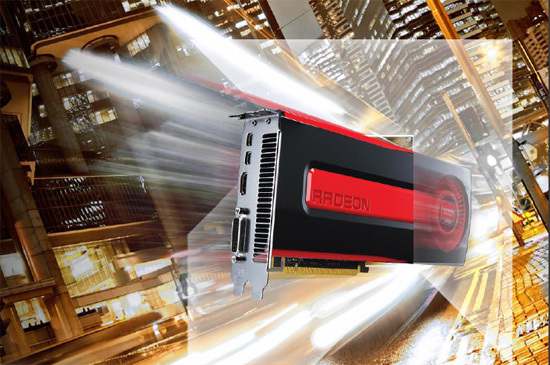 AMD Radeon HD 7790 With Bonaire XT GPU Arriving in March Too? Similarly, AMD’s upcoming Radeon HD 7790 which is based on the Bonaire XT GPU is also rumored to launch during the same time frame within this month. The Bonaire codename represents the AMD mainstream HD 8700 series GPUs which replace the Cape Verde HD 7700 series. Compared to the Radeon HD 7770 GHz which features 640 Stream processors, the Radeon HD 7790 features 768 Stream processors. PHK reports that AMD’s upcoming GPUs from top-to-bottom would feature the GPU Boost technology, so it can be presumed that the HD 7790 would end up featuring faster clocks through boost frequency.